Destination Imagination is a National and International program focused on helping children of all ages and economic backgrounds learn problem-solving skills, and experience successful teamwork as they face new challenges. 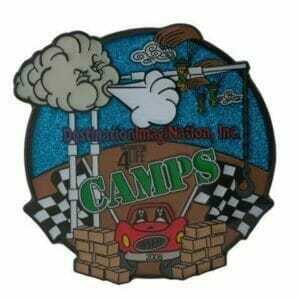 Looking For Destination Imagination Pins? Unique in its approach, the Destination Imagination program turns out highly adventurous critical thinkers by helping them to increase their aptitude for theater arts/sciences, playwriting, visual arts, design construction and architectural design, to name a few. Destination Imagination is an annual international creativity tournament for kids. At the start of the season, teams choose one of seven Challenges. After weeks spent creating and developing their solutions, they go to a local tournament. Top-scoring teams advance to state or country tournaments. The top level of the tournament is the Global Finals—the world’s largest celebration of creativity. Collecting, sharing, and trading items is a popular pastime for students all around the world. What are Destination Imagination pins all about? A non-profit, volunteer-led organization that we create custom pins for every season. Their mission is to develop opportunities that inspire the global community of learners to utilize diverse approaches in applying 21st-century skills of creativity, critical thinking, collaboration, communication, citizenship, and courage. 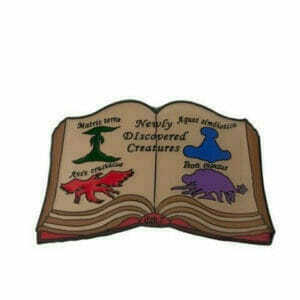 The pins that we create for this event have a significant impact. Giving a group of students direct access to these amazing materials and the opportunity to work with one of our expert designers, stretches the reach of their imagination and allows them a whole other modality to work with. Not only that, it also teaches them problem-solving skills and how to work as a team. Teams can create their own unique custom trading pin that signifies togetherness and their project and showcases their talent and creativity. 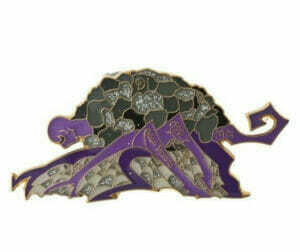 Their pins are large, ornate, and beautiful pieces that become collectibles. They become great keepsakes to remember this wonderful experience. By far, our most dynamic lapel pins are imagined and made by young people with an ever-expanding breadth of creativity. We are constantly learning from them! 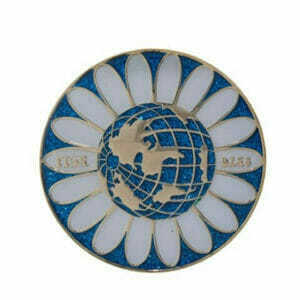 Lapel pins are an integral part of the worldwide Destination Imagination tournaments that take place throughout the year. It is an opportunity for teams to showcase their talent and creativity by fashioning a custom Destination Imagination pin that relates to their specific project. Custom Destination Imagination Pins are an excellent keepsake. With such creative thinkers in the driver’s seat, Destination Imagination pins tend to be large, beautifully ornate and unique trading pin creations. Custom Destination Imagination Pins will help you win any trading event! Nestled in the heart of Knoxville, TN, Destination Imagination or DI is a nonprofit visionary center that motivates teams of youths and young adults worldwide to inspire their imagination and celebrate their creativity. Just like you might collect postcards from foreign countries, kids attending Destination Imagination collect something a bit different, yet equally as treasured and sentimental–Destination Imagination pins. Crucial to the end of year Global Finals at DI, pin trading represents a once in a lifetime event that encourages young minds to share ideas, and in the case of this special nonprofit –cultural differences and customs. Fun looking pins at the Global Finals have become a beloved tradition over the 17 years that Destination Imagination has been a catalyst in society, and for reasons that encourage teams to celebrate their diversity –whether cultural or idea-wise. It seems that just about everything that includes Destination Imagination begins with an idea, and lapel pins are no different. Before attending the Global Final in May, Destination Imagination teams from around the world exercise creativity and ingenuity to come up with a pin that will catch the trading pin event at the Global Finals by surprise, so that other teams will want to trade with them –and maybe even trade at a higher exchange rate. During the event, kids strive to collect as many custom pins as possible, some even with motives in mind –such as collecting pins from different countries. One of the many things that makes Destination Imagination unique is their reach to other countries. Brilliant minds aren’t isolated to the USA, and neither are DI’s events for them. DI nurtures the minds of the future by educating them in imaginative and creative ways such as pins, which allows teams to express their individual interests and logos. Teams have fun coming up with different things to put on pins, and trading them offers amazing opportunities for teams to be introduced to other youth from all over the world. The youth of today are the pioneers of tomorrow, and it is important to nurture ideas and goals that will build a better future for the whole world. At Destination Imagination, they support a tradition that encourages team spirit, creative thinking and a trading process that encourages sentimental collections and builds friendships. A tradition that has gained popularity over the years and has become a staple in the Destination Imagination Global Finals today –and that tradition is pin trading. Support your own Destination Imagination team’s spirit by designing your own super cool trading pins today! Just click the Destination Imagination tab under “Pins” at the top of the webpage and let your imagination take you a pin-tastic destination today! 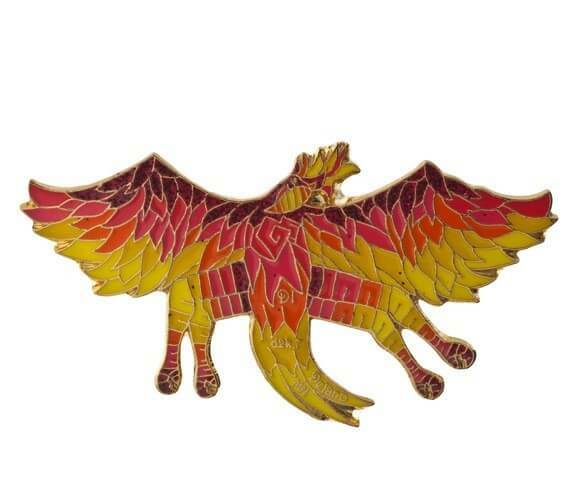 Type – Pin traders predominately like to trade etched and printed pins, as they can be made large and brightly colored as well as custom shaped. All this, without ripping your shirt! The thinner base on these two types of custom trading pins allows us to make a large pin without making your trading pin into an anvil. Size – Most players like to trade with other players that have pins that are 1 1/2” to 2 1/2” or larger, but we can design your pin to be virtually any size. Quantity – We find that most players will trade 20 to 25 pins per game. Be sure to include extras for parents, grandparents, and friends of the family. Accessories – Kids will seek out the lapel pins that are the most unique with blinkies, danglers, wiggle heads, sliders, and glitter. Nothing brings students together in creative collaboration than a cool custom trading pin project. We see it time and time again in the Destination Imagination events we make custom pins for every season it comes around. Giving a group of students access to these amazing material by working with an expert designer, stretches the reach of their imagination and gives them a whole other modality to work with. By far, our most dynamic lapel pins are imagined and made for young people with an ever-expanding breadth of creativity. We learn so much from them! Trading pin time has come once again for Destination Imagination's Global Finals, an event that marks the culmination of all the hard work of the many young people who participate in the programs that Destination ImagiNation has to offer. A non-profit organization, D.I. is dedicated to enriching the global community by providing opportunities for learners of all ages to explore and discover unlimited creative potential through teamwork, cooperation and problem-solving. Every year, D.I works with over 100,000 students across the U.S. and in more than 30 countries. Destination ImagiNation's core program is an exhilarating after-school activity in which students work in teams to solve mind-bending challenges and present their solutions at Tournaments and Global Finals. The Monterey Company is proud to provide custom destination imagination trading pins for all the creative teams who participate in these programs. Recently, one of our sales associated shared, These are some of our favorite customers. They are always so creative with their design ideas. It is always so much fun to collaborate with them on their projects. The Monterey Company will custom design and supply trading pins to many of the 1,200 students participating in the Global Finals which begin at the end of May. Finals. The pins are used for trading and identifying each team member. Groups coming to the Global Finals compete in a variety of different themed competitions. 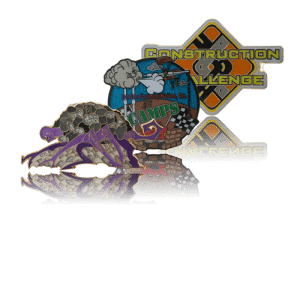 There are five competitive team challenges, each with its own educational focus, including technical/mechanical, theater arts/science, fine arts, and improvisation, structural & architectural design. 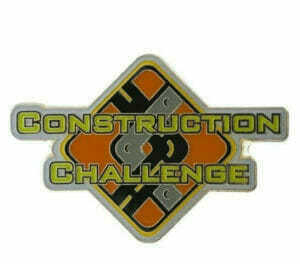 The pins reflect the team identity, the challenge theme in which they are competing and the year of the competition. As you can see the variety is wonderful to look at, and although our design team facilitated in the creation of these custom pins, the participants came to us with the majority of the idea and artwork. It's pretty exciting for us, said Paul Stark. Our Destination ImagiNation customers always have the most creative ideas for their pins. It is really fun to work with them. We are also impressed by the effectiveness of this program to motivate and inspire young people. We are excited to be part of that experience, at least peripherally. The pins serve as a nice memento, he added.